Araucaria hunsteinii, first described by K. Schumann in 1899 is commonly known as Klinki pine. Description. Klinki pine is a very large evergreen tree (the tallest in New Guinea, and the tallest species in its family), growing to 160 to 250 feet (50–80 m) tall, exceptionally to 290 feet (90 m), with a trunk up to 10 feet (3 m) diameter. The branches are horizontal, produced in whorls of five or six. 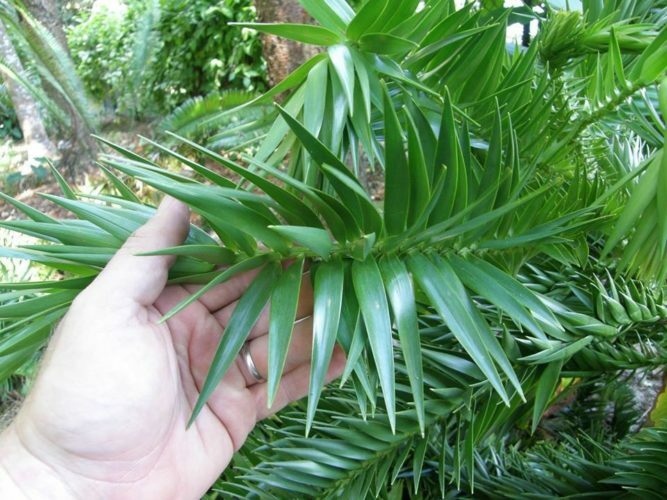 The leaves are spirally arranged, scale-like or awl-like, 2.5 to 5 inches (6 - 12 cm) long and 0.7 inch (1.5-2 cm) broad at the base, with a sharp tip; leaves on young trees are shorter (under 3.5 inches/9 cm) and narrower (under 0.6 inch/1.5 cm). It is usually monoecious with male and female cones on the same tree; the pollen cones are long and slender, up to 8 inches (20 cm) long and 0.4 inch (1 cm) broad; the seed cones are oval, up to 10 inches (25 cm) long and 6 inches (14-16 cm) broad. 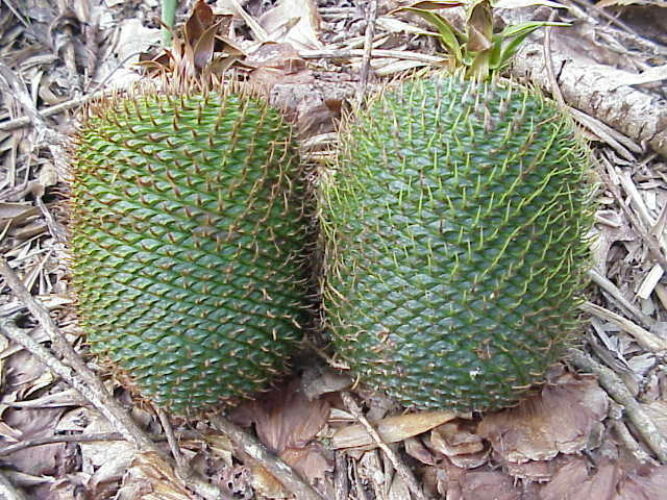 The seed cones disintegrate at maturity to release the numerous 1.5 inch (3-4 cm) long nut-like seeds. Distribution. This species is native to northeastern New Guinea — Bulolo Valley, at elevations between 1,900 and 6,000 feet (600 - 2,000 m). 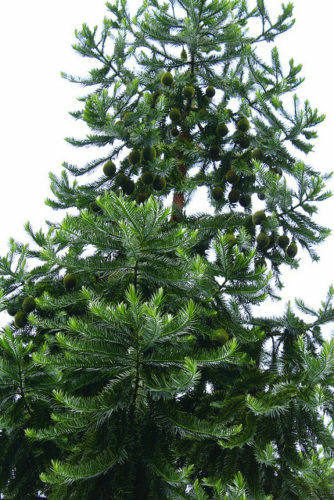 Araucaria hunsteinii — a large tree with immature seed cones. Araucaria hunsteinii — a closeup of foliage.